GET IN THE CIRCLE! 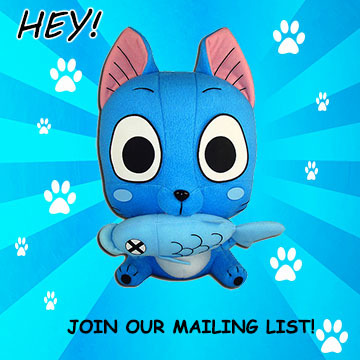 Shop Exclusive Anime & Pop Culture Merchandise! Created by the love between Princess Serenity and Prince Endymion, Cutie Moon Rod looks super awesome in plush form. This official Sailor Moon Cutie Moon Rod plush measures approximately 12-inch in length. Perfect addition for cosplay or use it for Moon Princess Halation! For Ages 15 and older. In Stock items are shipped in 1-3 business days after payment is validated. Due to licensing restrictions we can only ship to the United States & Canada. Orders over $100 and shipped to an US address must ship to billing address. All orders to Canada must ship to billing address. Canadian customers may be subjected and are responsible to pay duties and taxes in accordance with their country's national law. Return is accepted on most new and unused items within 30 days after receipt of shipment [delivery date]. If you need to return an item, simply login to your account, view the order using the "Complete Orders" link under the "My Account menu" and click the Return Item(s) button. We will email you a RMA # with return instructions when return is approved. We'll notify you via e-mail of your refund once we've received and processed the returned item. © 2003-2019 Circle Red. ALL RIGHTS RESERVED. All prices are in USD. Circle Red only sells officially licensed merchandise.